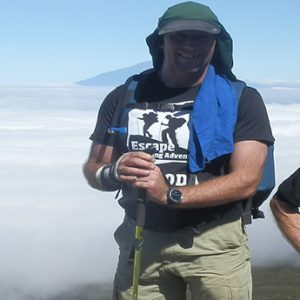 Discover more about our Escape Trekking Adventures team who may join you on the escape of a life time. Tina has a keen interest in Kokoda and PNG and loves spending time there to absorb the PNG way of life. Tina's favorite part of the track is Con's/Surgeon's rock. Tina grew up in the bush in western NSW on a working station just out side of Cobar. Her connection to the environment and animals see's her have a great passion to preserve the Kokoda trail and it's people. Tina is an outdoor recreation guide and has complete varying Australian walks and conducts walking and food tours with Shane around Port Stephens during the year where she can show her creative passion for food in our exclusive sunset summit tasting plates at Mount Tomaree. Tina's main priority is to ensure all our client's have the best experience possible whilst on their journeys. Vanessa lives in Melbourne and works in the financial services industry. Her love of outdoor adventure was cemented over 20 years ago following completion of the outward bound standard course. She regularly escapes the corporate world and heads off trekking, cycling and scuba diving both at home and around the world. On the weekends you will often find her hiking or cycling somewhere in the Dandenong’s or the Yarra Valley or paddling out on the bay. After first trekking Kokoda in 2007 she returned a year later leading a group of her family and friends. This was a hugely rewarding experience assisting people to realise lifelong dreams, especially those that never thought they could. These first trips were where she discovered her passion for the track and for the PNG people and culture. 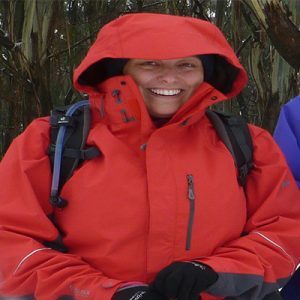 Vanessa has trekked, cycled, climbed and dived in many diverse and challenging places around the world including numerous treks at altitude and brings a variety of outdoor adventure experience to ETA. She also has qualifications in fitness instruction wilderness first aid and Kokoda Guide Training 2014. She has a keen interest in Australian history and has visited many Australian military sites around the world including diving on military wrecks. 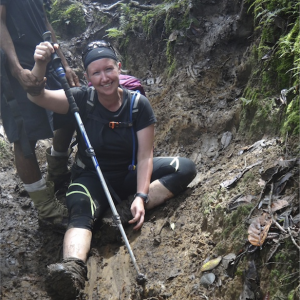 Vanessa has also trekked the ‘death march’ in Borneo. Places that Vanessa has trekked: Kokoda Track (4 tours) Thailand highlands trail (3 day trek) China 3 Gorges (3 day trek)) China Mt Hua Shan (2 day trek) China Great Wall (3 day trek) New Zealand Milford sound & Routeburn track Annapurna sanctuary trek 4200m Atl Borneo Mt Kinabalu trek 4095 Alt Borneo Sandakan death march Peru Inca trail (4 day trek) 4200m Alt Colca Canyon (3 day trek) Bolivia Sucre (3 day trek) 3800m Alt. Gary has Served in the Australian Army as a transport driver in the 1980s, as well as more recent reserve service as both a driver and plant operator. In this role he was involved in road and track maintenance and construction. Gary works for Parks Victoria as a public land fire fighter and field service officer. A major part of my role involves all aspects of wild fire management; including, training and mentoring new crews from a diverse range of ages, skills and life experience, and team building, assessing and training staff in fire fitness; and on ground operations in wildfire management and fuel reduction burning. Gary has Lead crews in major fire and burn operations, often in remote and rugged areas in Victoria and interstate including NSW and Tasmania. 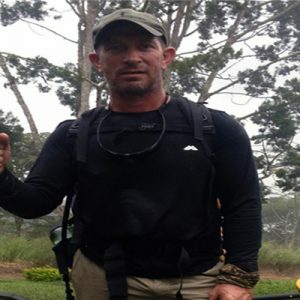 Garys experience in both military service and fire management as both a team member and in a leadership role, has taught him the value of building and working in tight teams, and the necessity of working on group strengths to overcome adversity and achieve outcomes in remote, dangerous and highly stressful operations. Having trekked Kokoda, then followed up with Black Cat and Bulldog tracks in 2013. Gary's knowledge and keen and personal interest in the Second World War, New Guinea campaign and a love of the country and its people. Gary enjoys kayaking, trekking, running and mountain biking and helping people to achieve their goals and exploring personal boundaries through teamwork and effective leadership.I have Served in the Australian Army as a transport driver in the 1980s, as well as more recent reserve service as both a driver and plant operator. In this role he was involved in road and track maintenance and construction. Having worked for Parks Victoria as a public land fire fighter and field service officer. Nikki was born and brought up in Zimbabwe. Nikki’s family moved to Australia when she was all but 12 years old. This time spent in Zimbabwe and Africa exposed Nikki to the diversity and richness of different cultural groups. This early exposure instilled her passion for wanting to understand, share and connect with other communities. Nikki has had over 30 years experience in the Adventure tourism industry, 20 years of which she was an open water dive instructor. Not content with diving deep into the abyss with her clients Nikki begun her relationship with trekking the Kokoda Track. 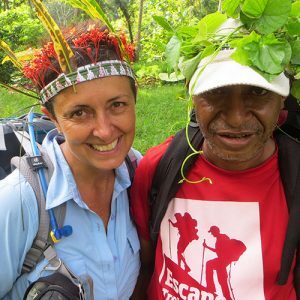 Now with 13 years as a trek leader to her credit in Papua New Guinea, Nikki has completed 65 Kokoda treks, 11 Skindiwai/ Black Cat treks, Mt Wilhelm (highest mountain in PNG), Mt Albert Edward and Shaggy Ridge (a continuation of the World War 2 campaign). I addition to this Nikki has led treks to Sandakan in Borneo, the historic death march of Australian and British POWs during World War Two. Together with Escape Trekking Adventures we have bonded together to form a great team delivering the best treks on the Kokoda Trail with a highly detailed and interesting historical input from Nikki along with her fantastic group management for team environment. As a trek guide, Nikki has been privileged to experience and engage with different cultures in magnificent natural environments. Witnessing children growing up along the track befriended and established strong working relationships with the communities. Nikki has built the most wonderful friendships with the local villagers discovering things about the Kokoda war campaign that you won’t read about in books. Nikki is passionate about the people and cultures you’ll meet as you take part in this life changing, mental, emotional and spiritual journey. Kokoda draws you in – but it’s the raw beauty of the country and the genuine welcome of the people that make you want to come back for more. Having trekked in all weather conditions on Kokoda so I’ve experienced just about everything that this famous Track can throw at you. Nikki is a fully qualified in Wilderness remote first aid and I make sure that the group is fully prepared before we embark on this exhilarating journey. When you trek with Nikki George - you are trekking with someone who is veteran of the Kokoda Track, Someone who has researched and has a genuine interest in the World War II events that happened on the track over 75years ago. This inspires her about the historic Kokoda track, the human sacrifice, the endurance of the men that fought, fell and survived for their country makes Nicki feel so passionately about bringing all these experiences to fellow trekkers. Rob was born on the 8 Feb 1970 at the Diamond Valley Hospital in Victoria. He completed year 10 at Eltham High School, working for 2yrs as a labourer before enlisting on 29 April 1987 to the Australian Army. Completing three years service as an Artillery Signaller in Brisbane, he discharged and moved west of Toowoomba and started a family. Working on a pig farm for 4 years did not satisfy the long term career goals and family financial plan, so a change was planned. In September 1994 he commenced working at the John Oxley and Brisbane Youth Detention Centres. During this time, Rob started studying for an intended career change to become a Police Officer he completed Diplomas in Justice and Journalism, also earning his Scout Leader wood beads. Rob remained with the Queensland Government and did not see a promotion or transfer imminent within the next five years so he re-enlisted to the Army on the 18 May 2004. Rob completed initial employment training as an Operator Supply within the Royal Australian Army Ordnance Corps and was soon promoted to the rank of Corporal, awarded a Soldiers Medallion for exemplary service and also deployed for 6 months to Afghanistan. In 2009, Rob was promoted to the rank of Sergeant and deployed once again to Afghanistan. Currently Rob lives in Canberra, and continues his career in the Australian Regular Army as a Military Instructor. Rob trains and mentors soldiers and officers within the All – Corps environment. He is a Combat Fitness Leader an Adventurous Training Leader, and has civilian qualifications as a Personal Trainer. Between his Defence responsibilities and his time in PNG Rob enjoys keeping fit, spending time with the family and playing the guitar. Rob is a patriotic and passionate amateur historian who has a determination to ensure the history of the soldiers whom walked before him is accurately represented, he also is a people person, trekkers and locals alike his hand and heart are offered in friendship as a journey begins. Nathanael is from Brisbane, QLD. He works as a sheet metal worker, and loves spending time with his wife and two boys, playing guitar, writing and listening to music. 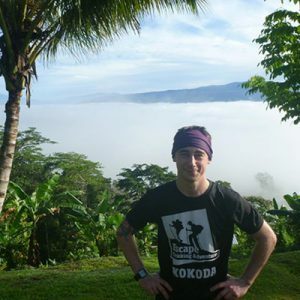 Nathanael enjoys adventures and will show you a great time while in PNG. He and his wife have lived and worked together for the Salvation Army in Papua New Guinea on two separate occasions, most recently in 2011 when they moved there with their boys. His experience in the local culture will add to your adventure. He loves all things outdoors including hiking, mountain climbing, running, fitness, surfing and snorkeling – so naturally PNG is a place that, along with its people, is close to his heart. Nathanael has spent many hours reading over Kokoda history books to ensure he can deliver a high standard of history while guiding your tour. Tracey is our Papua New Guinea manager, and is based in Port Moresby at our Escape Trekking Adventures office. She comes from Alola village from on the Kokoda trail. 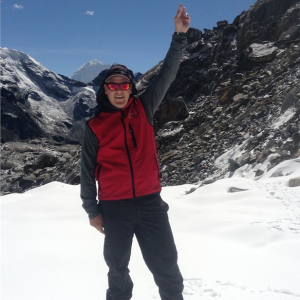 Tracey has in one way or another been involved in the trekking industry all her life following her farthers foot steps who has been a porter and head guide for over 17 years. 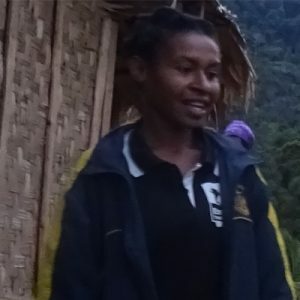 Tracey now resides in Port Moresby but returns to her home village as often as she can. Tracey is married to one of our porters Terrance from Kagi village and together they make a great couple. Tracy loves the Kokoda trail and its people but also loves venturing into the highlands of PNG to MT Wilhelm. Tracy has worked in the hospitality industry her goal is to take care of her trekkers and make sure they are comfortable and safe. Representing her country, Papua New Guinea & Escape Trekking Adventures she looks forward to welcoming and meeting you in Port Moresby.